Milton Maltz founded Malrite Communications Group, Inc. in 1956 and served as its Chairman and CEO until he sold the Company in 1998. Under his direction, Malrite became one of the most successful operators of radio and television properties in the country with stations stretching from New York to Los Angeles. Mr. Maltz began his career in broadcasting as a kid actor in radio dramas originating in Chicago and also appeared in a number of television broadcasts during that medium’s infancy. Over the years, he has worked in all aspects of the broadcast industry, including news and management. Mr. Maltz wrote, produced and directed “The Fight for Freedom”, a series of radio dramas reflecting the struggle for the creation of the State of Israel. As a respected and active member of the broadcast industry, and a member of its Hall of Fame, Mr. Maltz created the National Association of Broadcasters’ Task Force for Free TV, served on its Political Action Committee and was a Director of the Radio Advertising Bureau and Vice-Chairman of the Independent Television Association. In 1998, Mr. Maltz was the recipient of the University of Cincinnati’s distinguished Frederic W. Ziv Award for outstanding achievement in telecommunication. Mr. Maltz is active in numerous philanthropic and civic organizations including the Cleveland Orchestra, the Cleveland Museum of Art, Case Western Reserve University’s new performance center, the Lieber Institute for Brain Development located on the campus of John Hopkins Hospital, the Cleveland Play House, the Jewish Federation of Cleveland, the Anti-Defamation League, the State of Israel Bonds, the Cleveland Clinic Foundation and the Bascom Palmer Eye Institute. He was instrumental in bringing the Rock and Roll Hall of Fame & Museum to the city of Cleveland. Today, Mr. Maltz is using his years of entertainment experience and expertise to develop distinctive entertainment projects around the country. A highly acclaimed project is the International Spy Museum in Washington, DC. The Museum has achieved international fame. Mr. Maltz received a letter from President George W. Bush commending the Museum for contributing to America’s understanding of the importance of intelligence as a principal component of national security. He currently serves on the Board of the CIA Officers Memorial Foundation. Tamar Maltz is a graduate of Roosevelt University in Chicago with a degree in education, teaching in the Michigan and Maryland School Systems. She also taught Hebrew at the Fairmount Temple Hebrew Schools in Cleveland. Mrs. Maltz has served on the boards of Montefiore Home for the Aged, and Friends of the Aaron Garber Library. She was a major stockholder and director of Malrite Communications Group, a national broadcasting firm. Mrs. Maltz has been a long time contributor to basic scientific research in the field of mental illness through the Brain & Behavior Research Foundation and served as a director of that organization. She received the “Trailblazer of the Year” award in 1994 from the Planned Lifetime Assistance Network of Northeast Ohio for creating social and recreational opportunities through the Jewish Community Center for individuals suffering from mental illness. Other major philanthropies include the creation of Gallery One at the Cleveland Museum of Art and the renovation of Severance Hall, home of the Cleveland Orchestra. Mrs. Maltz and her husband, Milton, revived the Playhouse in Jupiter, Florida (formerly the Burt Reynolds Dinner Theater), developing it as a traditional regional theater. The Theatre, now known as the Maltz Jupiter Theatre, opened on February 29, 2004. Mrs. Maltz serves as President of the Board of Directors of the acclaimed International Spy Museum located in Washington, DC. A new auditorium seating 500 at the Jupiter campus of Florida Atlantic University’s Lifelong Learning Center was named after Milton and Tamar in a ceremony at the University on November 8, 2002. 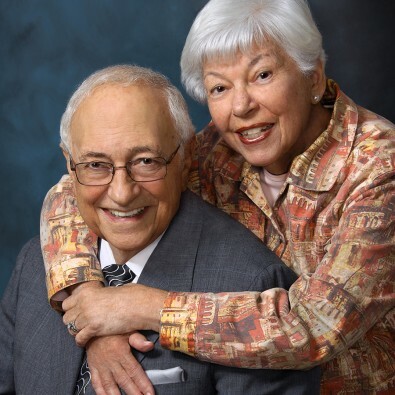 Mr. & Mrs. Maltz are major donors in the Bascom Palmer Eye Institute, University of Miami School of Medicine. Bascom Palmer is the nation’s #1 eye hospital according to U.S. News & World Report.